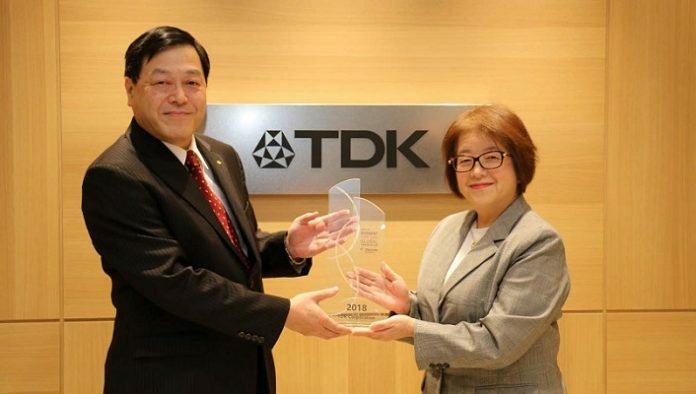 TDK is once again among the world’s 100 most innovative companies of the year in a ranking drawn up by Clarivate Analytics, formerly the intellectual property and science business unit of Thomson Reuters. TDK is once again among the world’s 100 most innovative companies of the year in a ranking drawn up by Clarivate Analytics, formerly the intellectual property and science business unit of Thomson Reuters. This is the fifth time that TDK has appeared on the list. A company’s patents are crucial to their ranking. Both the number of patents and the ratio of patent applications to patents issued are assessed. Another factor is global patent protection for the portfolio, especially by Chinese, European, Japanese and US patent offices. The number of times patents are mentioned by other companies and institutions also serves as evidence of the influence of patents. TDK’s latest innovations include axial-lead hybrid polymer aluminum electrolytic capacitors. These capacitors have already won the internal President’s Award in the category “Technology”.